Well, the 2020 election has started, essentially; certainly in the Democratic Party the primary conversation is hot and heavy already, and there is a lot of discussion about progressives, as they call themselves, primarying corporate Democrats. Norman Solomon, who helped organize Bernie Delegates Network, wrote an article recently in Huffington Post where he says he would like ‘primarying’ to become a verb–it kind of is, maybe, but anyway–and talks about how the corporate Democrats are afraid of Alexandria Ocasio Cortez and what she represents. Here’s a little clip from Kamala Harris, who everyone is expecting to announce that she’s going to run for president. This is, I think, she tries to walk a line which is not Clintonesque, but not Berniesque, either. Here’s how she responded to the question of what she thought AOC, as Alexandria is known, means to the party. SPEAKER: Do you agree that she could possibly, and this ideology if the socialist left, could splinter your party? KAMALA HARRIS: No. You know, I think that she is challenging the status quo. I think that’s fantastic. I think that she is introducing bold ideas that that should be discussed, and I think it’s good for the party. I, frankly, think it’s good for the country. Let’s look at the bold ideas. And I’m eager that we have those discussions. And when we are able to defend the status quo, then do it; and you know, if there’s not merit to that, then let’s explore new ideas. PAUL JAY: This is a question, according to her, about bold new ideas. But as I’ve said over and over again on The Real News, I don’t think the division in the Democratic Party is simply about some new ideas versus some old ideas. It’s about interests. And the section of the American oligarchy has its hands on the Democratic Party apparatus, and would not like–what is it?–their fingers, cold dead fingers pried off the apparatus. But Sanders certainly started prying off some of those fingers. And, Norman, you wrote in your article–actually, let me, first of all, introduce our guests. So, joining us, first of all, is Norman Solomon, who wrote the article in Huffington Post. Norman’s co-founder and national coordinator of RootsAction.org, and he, as I say, just recently published this piece in Huffington Post. It was called Democrats Are Afraid of Alexandria Ocasio-Cortez, too, And That’s a Good Thing. Also joining us is Jacqueline Luqman. She’s editor-in-chief of Luqman Nation, a social media outlet that connects history, politics, and evolving social issues through a black and pan-African revolutionary perspective. Thank you both for joining us. JACQUELINE LUQMAN: Thank you. Thanks. PAUL JAY: So, Norman, let’s pick up on your article. Kamala Harris, it’s kind of interesting how she positions this, that this is just a difference of ideas. And it reminds me of something that Hillary Clinton said to Bernie Sanders, maybe even in their first debate. She said to Bernie, she said, you know, Bernie and I, Clinton says, have really the same objectives. It’s just a difference of how to get there. And they try to make out that this split in the party is simply over ideas. So what do you make of that, and what do you make of this–explain your call to primary the corporate Democrats. NORMAN SOLOMON: Maybe Hillary Clinton meant that they both had the same objective to get elected. Other than that, though, I think the actual goals in that case and in many others are quite different. There’s a pretense–and Hillary Clinton has embodied that–that somehow the Democratic Party can serve the interests of Wall Street and Main Street. The average working person, wants to be working person, retired individual, struggling student, that somehow the party can serve their interests and also serve the interests of the predatory bank executives, and the hedge fund multimillionaires, and the huge multibillion dollar corporations. That’s just not a real world. It’s a fantasy that unfortunately has been swallowed by a lot of folks who could and should know better. We’re really at a juncture where the left is gaining tremendous momentum through social movements and awareness and public discussion. And part of that momentum is in electoral terms. So when the Democratic Party is going to have so many incumbents running in 2020, it would be a terrible mistake for progressives to not pick and choose, but definitely choose which incumbents in Congress or in other major offices to challenge in those primaries. And as you said, Paul, this piece I wrote for Huffington Post says that primaries should more emphatically become a verb. That just as Alexandria Ocasio-Cortez was successful in ousting an incumbent, an entrenched Democratic corporate person, Joe Crowley, and others have occasionally been able to accomplish that goal, it’s got to be done across the board and across the country. PAUL JAY: Jacqueline, what’s your thoughts? JACQUELINE LUQMAN: Yeah, I absolutely agree that primarying needs to be a verb. It needs to be embarked upon as a strategy that is well mapped out, that’s based on policy; the policy differences between the establishment corporate and, honestly, military-industrial complex-focused Democrats such as Hillary Clinton and others who have been pro-war and grassroots politicians who actually represent the people. The major difference between the current makeup of the Democratic Party is these people were chosen by the Democratic Party. The difference between the Ayanna Pressleys and the Alexandria Ocasio-Cortezes and the other insurgent progressive candidates who unseated Democrats in these races is that they were selected by the people. And that has to be done, as Norman said, across the board, In every race. It cannot just be we have to vote Blue no matter who; we have to keep the blue wave pushing. We have to examine these politicians’ policies. Every single one of them. And if their policies line up too much with corporate focus, with military focus, with fossil fuel focus, with Wall Street focus, then yes, they need to be primaried. And a leader from among the people that is going to advance the people’s interests needs to be put in that person’s place. PAUL JAY: Norman, many of the candidates now are adopting some of the–candidates. Expected candidates, certainly at the presidential level, are starting to adopt some of the Sandersesque language. You have more people saying they’re for Medicare for All. You’ve got more people talking about a Green New Deal. How are you going to separate those who are taking on some of the rhetoric–and there you have Kamala Harris, for example, who’s normally considered–not Hillary Clinton, but as I said, certainly not Bernie Sanders–and trying to sort of incorporate the progressive wing into what’s expected to be her own candidacy. NORMAN SOLOMON: It’s rhetoric versus record. It’s wheat from chaff. It’s whether somebody put on these now-insurgent ascending ideas as sort of the newfashioned clothes of the season, or whether they walked the walk and talked the talk for a very long time. If we look at the actual polling numbers across this country–I’m not just talking Democrats, but just people who live in the United States–you have polls showing that Medicare for All, for instance, and free public college tuition for all, those proposals gained upwards of 70 percent of support. And this disconnect between the punditocracy and the corporate-backed candidates on the one hand, and what people really want, has become so huge because of the Occupy movement, because of Bernie’s campaign, because of so many insurgent candidates and activists, that now people such as Kamala Harris and many, many other congressional candidates, as well, they feel they need to give lip service. But the fact is we can’t afford to go on lip service, because when we’ve done that we’ve had one president after another with a D after their name, one member of Congress after another with a D after their name, and they simply have never fought for the principles that sometimes they give lip service to. PAUL JAY: Jacqueline, the counterargument goes, and there’s some evidence of this in the just recently-held midterms, that in places where there were progressive candidates that won their primaries–not that many actually won. Some did, and of course, Alexandria is one of the best known. But there’s places where, in fact, the seat went Republican. Now, it might have gone Republican anyway. But the argument goes that this theory that progressives can win districts that corporate Democrats can’t, it’s a mixed bag whether there is an answer to that. What do you make of that? JACQUELINE LUQMAN: I think some of it comes down to messaging. A lot of these new progressive candidates were first-time campaigners, so they didn’t have the whole concept of of messaging down. You know, you can’t say that you’re a progressive, especially in a competitive district where you’re running against a Republican that has a chance, and a corporate Democrat who’s an incumbent. You can’t just tie the Republican to Trump and think that’s going to win you that seat. You have to talk about policies. And at the same time, if you want to unseat the incumbent Democrat, you have to do the same thing with a Republican. You have to point out why these people’s policies have failed the people. Kamala Harris is an interesting, very interesting subject to me. 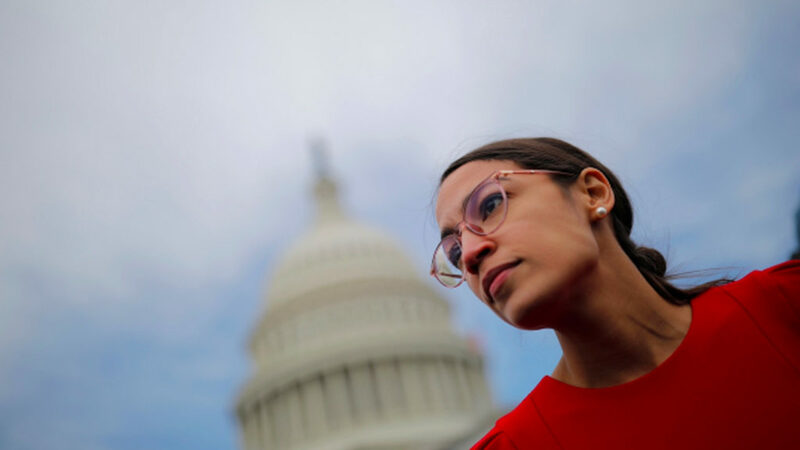 It’s interesting that we opened this piece with her comments because, you know, she talked about Alexandria Ocasio-Cortez’s bold policies as if these policies that are being talked about are some type of newfangled bunch of things that no one has ever seen. But these policies, other than being focused on renewable energy, really are things that we have done before in this country. And I think that is one of the major mistakes that a lot of these progressive candidates who are new to politics and new to campaigning are weak on, their political history. Because the argument can be made that we’ve done these things before, so we can do them again. We’ve done a New Deal before. It’s not new. Just the fact that it’s green, that it focuses on renewable energy, doesn’t mean that it’s something we haven’t seen before. We have done free college tuition before. We have done some type of expanded Medicare for most Americans before. We’ve done these kinds of social programs before, so the only reason we think we can’t do them is because certain politicians tell us that we can’t afford it. But these are the same politicians who continue to vote for unending war, and continue to vote for a bloated military budget that no one ever questions how we’re going to pay for. So some of these progressive upstarts need to bone up on their political history, and they need to be a lot more, I think, forceful in their delivery in challenging both ends of the establishment spectrum. PAUL JAY: As I was saying in the beginning in my intro, this is really like a division of interest. This is–you said Wall Street versus Main Street. It’s really quite a vicious fight, and it’s going to get very vicious. At the last Democratic Party convention you were part of the California delegation, and you were part of the Bernie Network. You guys kind of got closed down there. Didn’t have a lot to be able to say or participate. The Clinton forces used the party apparatus to basically–even they got Nina Turner not to make Bernie Sanders’ introduction. You know, Bernie eventually endorses. But the machine is very powerful, as I say, because it’s not just a battle of ideas. It’s a battle of power. Some people are suggesting that this fight in the Democratic Party ain’t worth it. NORMAN SOLOMON: Well, it’s extremely important, because if we care about power then it’s not just a matter of speaking truth to power, or even also about power, as important as that is. It’s crucial to take power. And if Alexandria Ocasio-Cortez had run as a Green or some other third-party candidate she would still be tending bar. Nothing wrong with that. But the fact is that if we want to have authentic representatives of grassroots peoples’ interests, then we need to realize that history tells us and reality tells us that we’ve been able to elect some genuine people to represent people’s interests through the Democratic Party. That’s how we have Rashida Tlaib from Detroit in Congress–also, like AOC, a declared democratic socialist. So I think we need our feet on the ground and our eyes on the horizon. The fact is that since the 2016 campaign, activism–and RootsAction.org has been part of a coalition including Our Revolution and other groups–we basically shut down the superdelegate problem, which was instrumental in getting Hillary Clinton nominated in the first place. Long story short, the starting gun goes off for the campaign, and one candidate, the establishment candidate, is already way ahead because of superdelegates. No more. There hasn’t been a second ballot for a nomination at the Democratic Party conventions since 1952. And now we know that there will be zero superdelegates able to vote during the first decisive ballot. That only happened because people organized and fought like hell, sometimes necessarily, nonviolently, disrupted official meetings of the Democratic Party since 2016. PAUL JAY: Jacqueline, there’s a lot of debate about whether Bernie should run, should be the candidate that progressives all rally around. It’s still apparently a question in his mind whether he’s going to run or not. I don’t know, you hear–but it sounds like he’s probably going to. What’s your take on it? And if Bernie does run, should should some of these other people that consider themselves progressives, the Elizabeth Warrens, the Tulsi Gabbards, and others, should they be running against him? JACQUELINE LUQMAN: I think some of those candidates are going to run against him even if he does announce that he will run, because again, going back to the discussion about power, some of these people aren’t really interested in changing anything in this country, let alone within the Democratic Party, because if they were they would have endorsed Bernie Sanders the last time around, and they didn’t. PAUL JAY: Tulsi Gabbard did. I mean, she quit the DNC. JACQUELINE LUQMAN: Well, Tulsi did, but Elizabeth Warren infamously did not. And those of us who were supporters of, supporters of Sanders, we’ll never forget that, and we should not, along with her inaction in regard to the to the protests at Standing Rock. PAUL JAY: Does that include Bernie Sanders? JACQUELINE LUQMAN: I think there are some questions with how Sanders ran his campaign, especially in regard to the southern states, that a lot of voters, black voters, while they were happy to support him, really wanted him to do more in reaching out to them in those southern states. And also the issue of reparations is very very critical to black voters, especially facing the economic crisis that we are uniquely facing in this country that almost nobody else is. We will be economically bankrupt in less than 30 years. PAUL JAY: Jeff Weaver, who was a Sanders campaign manager, it’s been announced now that if Bernie runs again Weaver won’t be the campaign manager again. And Weaver was critiqued for a lot of these kinds of campaign issues, and how the campaign was run in the south. Do you think that’s going to make a difference? JACQUELINE LUQMAN: It will make a difference if Weaver is replaced by someone who actually listened to the criticism of black Sanders supporters, black Sanders staffers, and black voters who reached out to Sanders to talk to him about these issues after his campaign. So it’s good that Weaver won’t be the campaign manager, but we’re in a wait and see mode to see who his replacement will be. So yeah, I do believe that for people who think that the only option they have is to push the Democratic Party left, yes, absolutely, vote for progressives who can flood the Democratic Party and really push them left. But I also believe there needs to be a very strong movement outside of the Democratic Party that’s focused on local and state elections, where third party candidates do have more of a shot, and make more of an immediate impact than the national Democratic Party candidate would. PAUL JAY: Norman, on the same two issues–what do you make of the Weaver thing? And then also Jacqueline’s last point on third party. 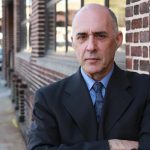 NORMAN SOLOMON: First, I very much agree with the emphasis to move outside of the Democratic Party with local municipal races. For instance, I live near Richmond, California, where there’s been a coalition of Democrats, Greens, Peace and Freedom, other parties to engage in winning progressive victories in the city council, mayor’s races, fighting Chevron both inside and outside the electoral arena. On the ballot those are nonpartisan races. And that’s true around the country. Needs for cities, often in counties, certainly for school boards. And that’s where we get around the juggernaut of the Democratic Party, where officials often try to block these sort of coalitions from gaining power. In terms of Weaver, whatever he did or didn’t do, frankly, I think he’s ill-suited for helping to run a campaign that melds the power of grassroots, social progressive movements and electoral machinery. It’s a very different thing to run an election campaign traditionally from being part of a social movement. And the best of all worlds is to have election campaigns that embrace and gain synergies from and provide synergy toward social movements. The traditional view of liberal politicians has been that social movements should be a subset of whatever election they’re trying to win next, when actually it should be the other way around. Elections, very important electoral campaigns, should be subsets of the social movements that have always been responsible for everything we can be proud of in this country. It never comes from the top down. Most recently, for instance, gay marriage. Marriage equality. It never came from the top. It came from people at the grassroots demanding what seemed impossible until it became a reality. PAUL JAY: All right, thank you both for joining us.